Cameras » DSLR » Full Frame » PENTAX K-1 » “PENTAX K-1 Upgrade Service” won the Good Design Gold Award! “PENTAX K-1 Upgrade Service” won the Good Design Gold Award! 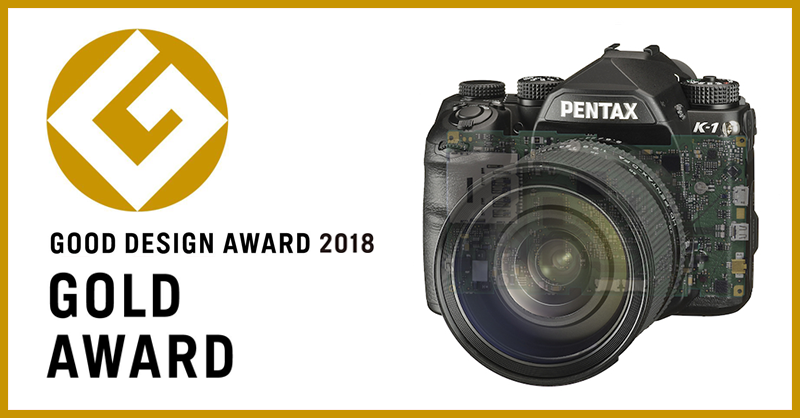 “PENTAX K-1 Upgrade Service” won the 2018 Good Design Gold Prize (Minister of Economy, Trade and Industry Award) at the 2018 Good Design Award sponsored by the Japan Design Promotion Organization. Reason for awards · Evaluation by judges is as follows. They answered honestly the requests and demands of many camera users. In the camera industry, the same products are frequently updated with MARK II, III, and new products will appear, but there are many that the appearance of cameras has hardly changed. In such a case, what the user wants is more advanced performance, and there are many cases that it is not another camera. Sharing the moment of memories together, sharing the moment of memories, and changing the camera as a familiar “thing” one after another, just because of the performance got outdated or something is different. There are also many users who felt so. It may be good to purchase a completely new product in order to pursue the profit of the manufacturer, but it is a service from the viewpoint that the user truly wants it is this kind of thing. We sincerely welcome such initiatives and want to evaluate highly. P.S. Text translated from Japanese by Google Translate. Posted in Awards, Cameras, DSLR, Full Frame, Good Design Gold Award, Good Design Gold Award 2018, News, PENTAX K-1.